With its homey appearance, this kid-friendly dessert subs whey in for the more common cream in the ginger-flecked biscuits. 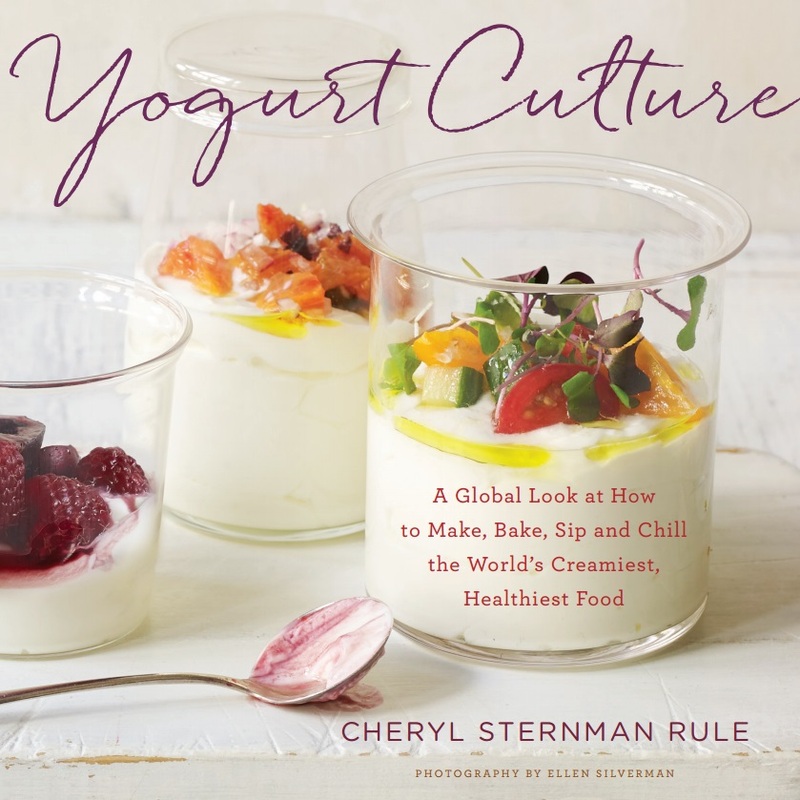 If you don’t have a jar of whey in your fridge (produced through straining a prior batch of yogurt), go ahead and strain 4 cups (32 ounces) of (non-Greek) yogurt for a few hours over a deep bowl. You’ll be left with sufficient whey to make the biscuits and plenty of Greek yogurt for the filling. Make the biscuits. Preheat the oven to 375°F. Line a baking sheet with parchment. In a large bowl, whisk the flour, baking powder, baking soda, ground ginger, salt, and sugar. Add the crystallized ginger, scattering it in small bits. Using the large holes on a box grater, grate in the butter. Stir lightly with a fork. Dribble in ½ cup of the whey, stirring with a wooden spoon until the ingredients come together and no dry bits remain. Dump on a floured counter and pat into a 41/2” round. Cut in quarters. Transfer to the baking sheet. Brush the tops with the remaining 1 tablespoon whey. Sprinkle with the coarse sugar. Bake until the bottoms are golden and the tops firm, 16 to 18 minutes. Cool completely. Assemble. If making large shortcakes, cut each biscuit in half horizontally. If making smaller shortcakes, cut each biscuit in half top to bottom, then cut each piece in half horizontally. In a medium bowl, whisk the yogurt vigorously with the remaining 2 tablespoons sugar and the vanilla to lighten. Mentally divide the yogurt in half: distribute the first half of the yogurt among the biscuit bottoms, top with a spoonful of strawberries, cover with the biscuit tops, divide the remaining yogurt on top, and finish with more strawberries and their juices. Serve immediately.